This year’s (24th) Gingerbread Village at the Sheraton Hotel in Downtown Seattle, is a very magical one. This new theme is all into the world of Harry Potter. Last year’s Gingerbread Village theme was all about the Star Wars. 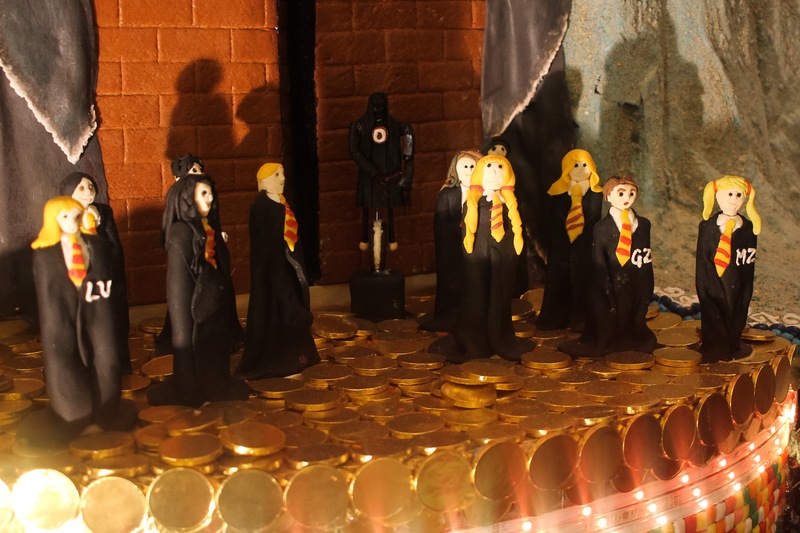 Now, it’s gone full Hogwarts with displayed exteriors made mostly out of reinforced gingerbread, frosting, candy bits, lots of jellybeans and other sugary snacks best used for such displays. Each display developed from the work of an architecture firm and lead “chef.” Also involved were children (aka “Elves”) dealing with Type 1 Diabetes, promoting the cause of the Juvenile Diabetes Research Foundation (JDRF) for treatments and research. For those who wish to visit, the Sheraton is located near the Washington State Convention Center in Downtown Seattle, in their lobby. The Gingerbread Village is now free to the public until January 1, 2017. You are encouraged to also give a monetary amount to the JDRF Northwest Chapter. For more site and event information including bios on the designers and builders (and to donate directly), click here. Below some pics of each display, based on the first six books by J.K Rowling, and the movies based upon such. Click on each below for more detail. Also, click here to visit strangerworlds.com, for my nearly same write-up, and a many more detailed pics. Posted on December 7, 2016 by Orion T.	This entry was posted in Art, Photography, Seasonal and tagged Christmas, displays, geek, gingerbread houses, Harry Potter, holiday decorations, seasonal, Seattle, travel. Bookmark the permalink. ← Picture of the Weekend, early December 2016..